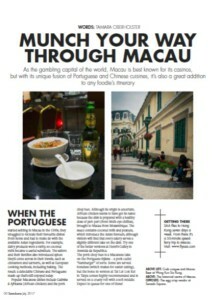 Sawubona is South African Airways’ official in-flight magazine. Through rich and vibrant content, covering an inspiring array of travel, business and lifestyle articles, it highlights the best of South Africa and the continent. It is a platform that supports SAA’s mission of bringing the world to Africa and taking Africa to the world. 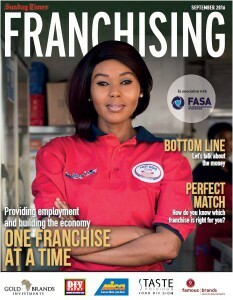 The Sunday Times Franchising publication takes a closer look at the franchising industry in South Africa, examining two important sides: the franchiser and the franchisee. Tamara Oberholster contributed various articles to the 2016 and 2017 editions of this glossy supplement, distributed to more than 50 000 subscribers of Sunday Times. 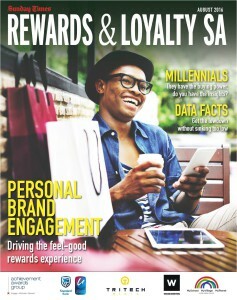 The Sunday Times Rewards and Loyalty SA publication presents an in-depth look at the local rewards and loyalty industry. Tamara Oberholster contributed various articles to the 2016 inaugural edition of this glossy supplement, distributed to subscribers of Sunday Times. Qhubeka is an Nguni word that means “to carry on”, “to progress”, “to move forward”. Qhubeka is World Bicycle Relief’s programme in South Africa and helps people to move forward and progress by giving bicycles in return for work done to improve communities, the environment or academic results. Having a bicycle changes lives by increasing the distance people can travel, what they can carry, where they can go and how fast they can get there. Word Chef / Tamara Oberholster has been providing writing, editing and related services to Qhubeka since 2011. Easy DIY is a high quality glossy magazine published quarterly by Wag the Dog Publishers (Pty) Ltd. Tamara Oberholster, Word Chef founder, has been writing regularly for the publication for the last few years on topics ranging from DIY projects to expert interviews and home and garden features. 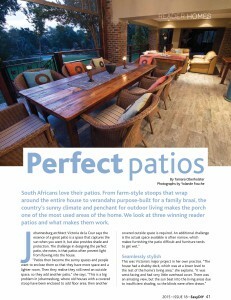 Showcased here is one of her recent articles, titled Perfect Patios. 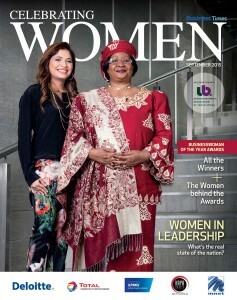 Celebrating Women is an annual magazine supplement published by Business Times in partnership with the Businesswomen’s Association of South Africa (BWASA). It appears in subscriber copies of The Sunday Times. For both the 2014 edition and 2015 edition, Tamara Oberholster was the editor for the BWASA portion of the publication. She also contributed to the 2017 edition. 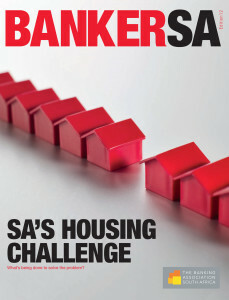 Banker SA is the official quarterly publication of The Banking Association of South Africa. It seeks to give readers insight into the world of banking in the South African context through topical editorial focusing on developments in macroeconomics, banking and financial services. 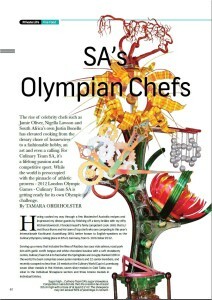 Tamara Oberholster (founder of Word Chef) is the former editor of Banker SA (editions 12 to 16). Green is a new annual supplement published in the Sunday Times. 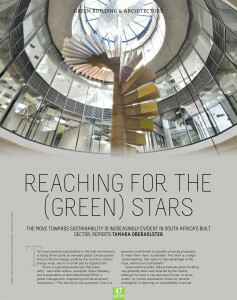 This is an article by Word Chef founder, Tamara Oberholster, that appeared in the inaugural edition in June 2015, on green architecture and building. Communication that Counts is a guide produced by GrantCraft in partnership with Tshikululu. It offers practical lessons in communicating for impact based on the experiences of funders and others involved in social investment in South Africa. Tamara Oberholster was one of the guide authors and editors. Private Life was a magazine produced by First National Bank (FNB) for its private clients that included insights on arts, style, food, wine, sport, travel and personal finance. The Private Life editorial style focused on incisive prose, spirited writing and bold design. 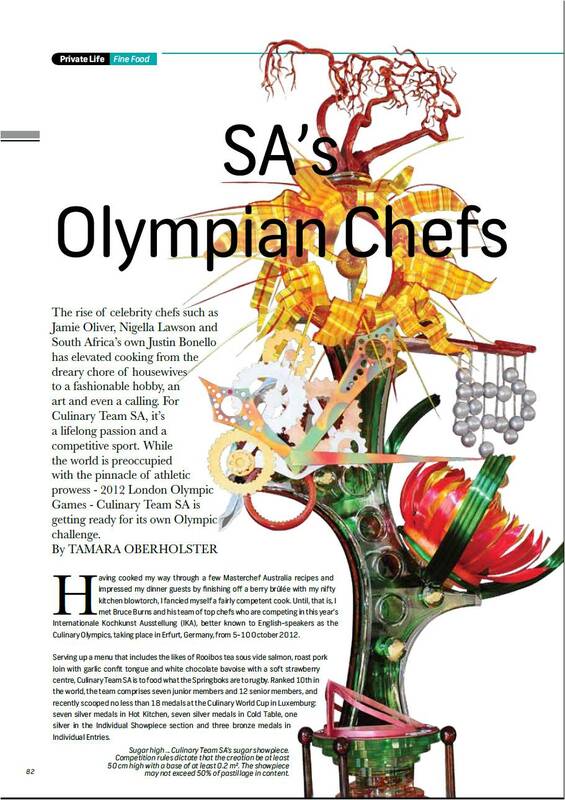 This is an article on Culinary Team South Africa by Tamara Oberholster. South Africa Deluxe is a high-end quarterly publication. This is an article on the art and science of scent by Tamara Oberholster, written for the 2015 Autumn edition. Private Life was an app created by First National Bank (FNB) for its private clients. 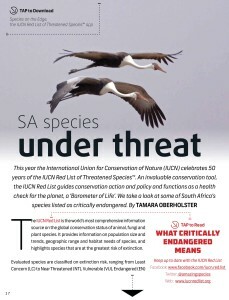 This article by Tamara Oberholster covered South African endangered species. DESTINY magazine is a high-end business and lifestyle publication for ambitious, stylish and intellectually curious women who are either actively engaged in business, or aspire to be so. DESTINY magazine is read by a wide variety of women – from young, ambitious business assistants and junior associates to well-established, affluent business owners/executives. 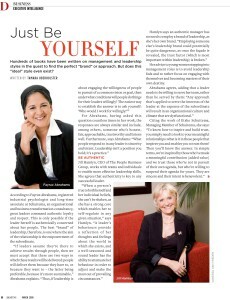 This Executive Intelligence feature by Tamara Oberholster explored whether or not a “perfect” leadership style exists.